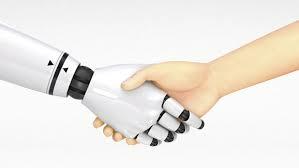 Taking a leaf from the wealth and IFA segments’ books, Ishaan Malhi’s brainchild Trussle.com is making waves in the mortgage space as the first instance of the so-called “robo-advice” model in the industry. In a recent interview with Victoria Hartley of Mortgage Solutions UK, Malhi said that the mortgage industry’s adaptation of the online advice model will allow it to tailor more effective solutions for the unique needs of each consumer. Trussle.com allows prospective clients to submit a secure online form that offers details on their specific situation. The form is then run through an algorithm that would decide the most suitable product, after which the input of a mortgage professional comes in. “So the adviser considers affordability, eligibility and suitability. That’s what advice is, a function of those three components. We know which lenders will lend to you, we know how much lenders will lend to you and the suitability is our algorithm mixed with what the adviser’s doing,” Malhi explained. “At the moment its two simple things: Judgment and a human voice. We’re talking about large sums of money, the biggest financial and emotional commitment. You can build software that’s as simple as anything and apply the best design, but you may still want to hear that from a voice over the phone,” he added. Malhi said that refinements further down the line will allow the system to address more specialized concerns such as lending to retirees and self-employed individuals. Together with Zoopla, Malhi sees Trussle.com serving hundreds of mortgages each month in the very near future. The Mortgage Advice Bureau’s Peter Brodnicki agreed that robo-advice would make the adviser’s work considerably more efficient. “There is a huge amount of information and documentation gathering before an adviser is in a position to provide advice, which technology can facilitate and simplify, as well as going a long way in narrowing the options available for customer’s individual circumstances,” Brodnicki said.